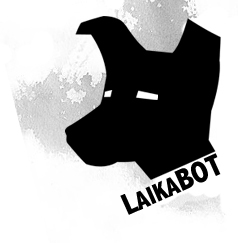 ShapeLock is a polymorph plastic that can be used to rapidly develop prototyping and working parts for your projects. It comes in bags or containers of small pellets that cost about $12 for 100 grams. You simply heat up the pellets by throwing them in to a container of boiled water, wait for about 30 seconds until they turn transluscent, and then mould them before they cool. If you struggle to use ShapeLock, then I would suggest leaving this website immediately. It's not great for intricate designs, but it's certainly strong, versatile, and it can be easily sawed, drilled, and screwed in to. ShapeLock comes in bags of pellets that are relevant to their final size. Therefore, estimating how much you need is not rocket science. It becomes malleable at around 60-70 degrees Celcius (150 degrees F), so you don't need to heat them to a ridiculous level. To be safe, I boil a kettle of water, pour it in to a bowl and then throw the pellets in to the bowl. Once the Pellets turn clear (about 30 seconds), I fish them out with a spoon and start moulding them to the desired shape. (WARNING: Use your common sense - when they first come out of the water they are generally ok to touch directly, but can give you a nice scalding if you've left them in too long). In the past I have flattened them with a rolling pin and then cut out shapes with a knife before and after they have cooled. As per the video, I use stacked paddle pop sticks to keep the thickness even. You can even drill and screw directly in to them. 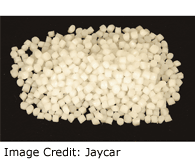 Jaycar - Polymorph : Product page for the polymorph pellets.